The Kiwanis Tennis Center is hosting their second Junior Satellite one-day tournaments on Friday, August 11th from 6-9:30pm. The tournament format is non-elimination with matches consisting of one short set. Three matches are guaranteed per player. Due to the short time frame draw sizes are limited and is first come, first serve. Draws are separated by ability rather than gender or age. A great way supplement your tournament schedule with competition that won't take the entire weekend. 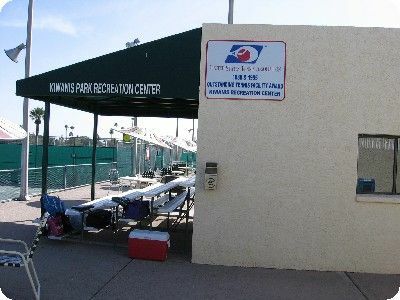 For entry forms or questions contact Chris Brewer - Director of Tennis at 480-350-5721 or chris_brewer@tempe.gov. No phone entries allowed.